I am new to this forum and I am in the need of assistance on my 1986 Kawasaki KLR 250. 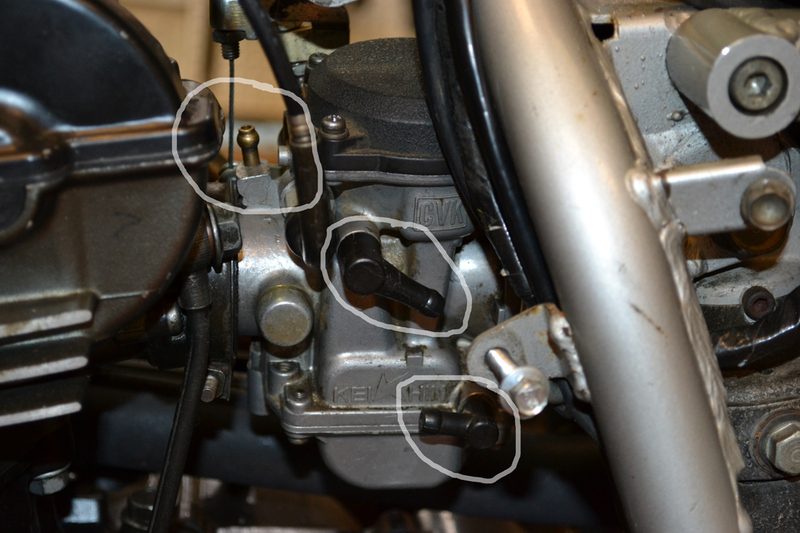 I bought this bike in boxes (100.00)and have been putting back together - here is my major problem; as can be seen in picture below I have 3 places I can hook hoses up to since I have no frame of reference (I do have workshop manual) I need to know which hoses go to the carb. I think there is a fuel separator that 2 of the hoses go to but I am guessing. And while we are on the subject do I need the fuel separator? Any information would be great. Hello - Can't someone help me a picture at least - I don't know where to hook up these lines and I don't want to be trying to kick this thing over and over and over just to find out the carb is hooked up wrong. Thanks in advance.